Senate Bill 6102, the Employee Reproductive Choice Act, passed on a mostly partisan 26-21 vote. Among Spokane-area senators, Democrat Andy Billig voted yes; Republicans Mike Padden, Mark Schoesler and Shelly Short voted no. Republican Mike Baumgartner was excused. 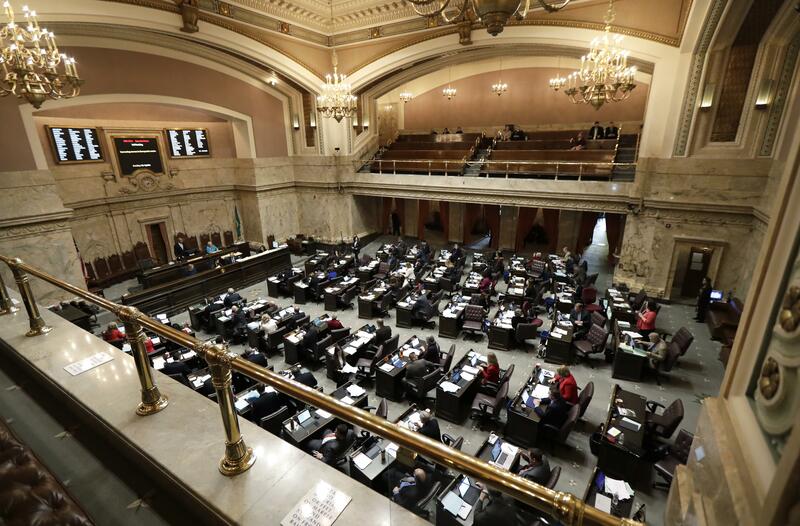 OLYMPIA – Employers with religious objections to birth control would not be able keep their workers from having medical insurance that includes that coverage if it also pays for maternity care, a bill narrowly approved by the Senate says. After a debate that featured familiar stances from the two sides of the nation’s long-standing abortion fight, the Senate approved the Employee Reproductive Choice Act, which some lawmakers call the “Hobby Lobby” bill after a U.S. Supreme Court ruling that featured that national retailer. The court ruled an employer could refuse that coverage based on religious views, and the Trump administration has said it would extend that to moral objections, Sen. Kevin Ranker, D-Orcas Island, said. “What we are seeing is an all-out assault on a woman’s choice and family planning,” Ranker, the bill’s sponsor, said. But Sen. Mike Padden, R-Spokane Valley, argued the assault is really on people of faith and religious liberty of those who object to birth control. “They ought to be able to live by that faith and not have other values imposed on them,” Padden said. Sen. Karen Keiser, D-Kent, said the availability of birth control under the Affordable Care Act is responsible for reductions in unwanted pregnancies, teen pregnancies and abortions. Padden countered that the reductions were at least partly due to “the tremendous efforts of the pro-life movement” and such innovations as 3-D ultrasounds. Under the bill, an employer who doesn’t provide contraceptive coverage in health insurance with maternity coverage could be guilty of an unfair practice that could be investigated by the state Human Relations Commission or be the cause of a civil suit. The contraceptive coverage must be provided without extra cost. The bill was sent to the House, where it will have to pass in the next 23 days. Published: Feb. 13, 2018, midnight Updated: Feb. 13, 2018, 12:47 p.m.